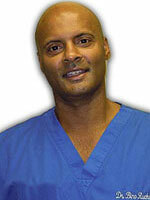 Dr. Rucker is often asked why did he leave a sub-specialty surgery practice for a holistic integrative approach. His answer and renewed passion relates to the flaws in the standard western medical practice model. “A patient that stands out in my mind forever is a gentleman who came to see me with complaints consistent with low testosterone in a 50 year old male. This gentleman was obese, depressed, and eating the standard American diet. It was no shock to me that his testosterone was very low. The problem I noticed was the treatment I advocated was a holistic mind/body approach, not just testosterone injections. Unfortunately this approach was frowned upon by the administration of my previous practice and the insurance company that dictated the patient’s care. After this encounter I vowed to myself that I would exit big practice and monopoly insurance models. This is one example of a case that transformed my approach to medicine ever after”.